When you are working on a stadium that can hold 15,000 avid fans, you want to use durable and attractive material. 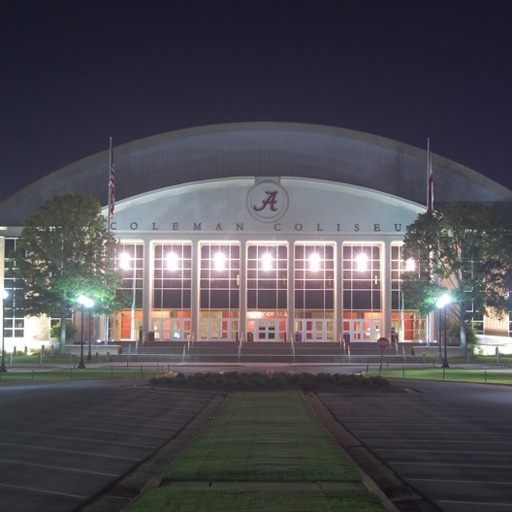 That is why the University of Alabama chose Stromberg GFRC for the cornice and front panel on their stadium. The stadium does not just see use when the Crimson Tide plays football, but all year for all the major sports. Buildings that are that heavily used have to be strong and durable. They also need to be attractive. After all, this building is the only part of the campus some fans of the opposing team see. It has to make a good impression. The cornice adds a refined finishing touch to the elegance of the stadium. The GFRC panels across the front, though, not only hold the University of Alabama’s sign, they create a strong first impression of elegance and sophistication. Together with the cornice, these panels help convey the place the Crimson Tide has in football and other sports. GFRC panels are light weight and can be lifted up with a crane and fastened from the inside, making them easier to install than other kinds of material. Because they are light weight, panels can be larger so the crane has to lift fewer things into place, always a difficult job. Once installed, GFRC panels are very weather resistant and have a tensile strength higher than steel. Equally important in a facility that holds large crowds, GFRC is fire resistant. Stromberg GFRC strives to satisfy even the most demanding customers. Give us a chance to satisfy you. For more information and assistance with your design challenge, please call us at (903) 454-0904 today or email us at info@strombergarchitectural.com.